Written by Nathaniel Popkin for HiddenCity Philadelphia on February 19, 2013. For Donald Carter, the groundbreaking of an LGBT-friendly senior housing facility meant more than just the creation of a facility. It was the culmination of more than 40 years of activism. "I started this experience as an outlaw, a social outlaw, a sexual outlaw," said Carter, a gay African American who began demonstrating in the 1960s for rights for lesbians, gays, and bisexuals. 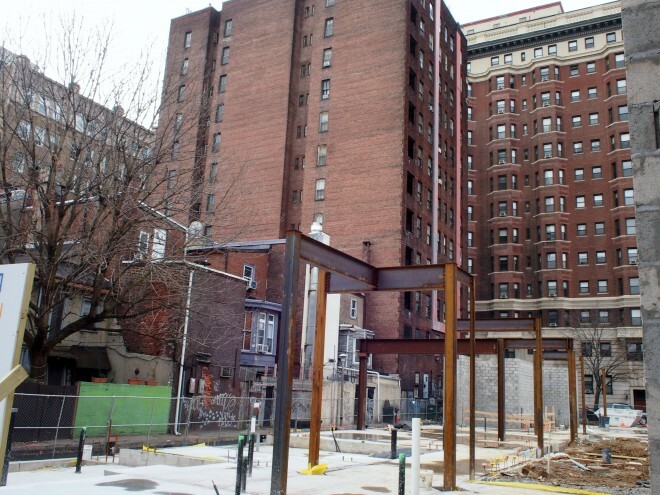 Now 62, Carter was in attendance as city, state, and federal officials broke ground Friday for the first LGBT-friendly senior housing facility in the nation, the John C. Anderson Apartments on the 200 block of South 13th Street. Located in the heart of the "gayborhood," the complex will serve low-income seniors. While LGBT-friendly, the complex won't be exclusively for LGBT residents. The publisher of Philadelphia Gay News and longtime LGBT activist, Mark Segal, pushed the project and said it offered a place for the LGBT community to gather, just as an African American or a Catholic center would. "We have seniors like Donald Carter, who lives in West Philadelphia, 62 years old," Segal said. "This is his community. Why can't he live in his community with dignity in his golden years?" The groundbreaking ceremony was held under a tent in the middle of 13th Street in front of the construction site. Mayor Nutter welcomed the housing to serve the many LGBT advocates in the city since the 1960s. "Some of those fighters are now entering their golden years," Nutter said. "This center will support people of that generation and others in securing their most basic needs for a good place to call home." The ceremony also honored six LGBT "pioneers" who signed a pane of glass that will be included in the complex. Segal said the idea for the facility started about eight years ago and received a push in the last three years when it got state and federal funding. The six-story, 56-unit complex was originally named the William Way Senior Residences but was renamed for the late John C. Anderson, a city councilman who worked for gay rights. The $19.5 million project is run through the dmhFund, a nonprofit that supports programs on behalf of the LGBT community, and Pennrose Properties, an affordable housing developer. 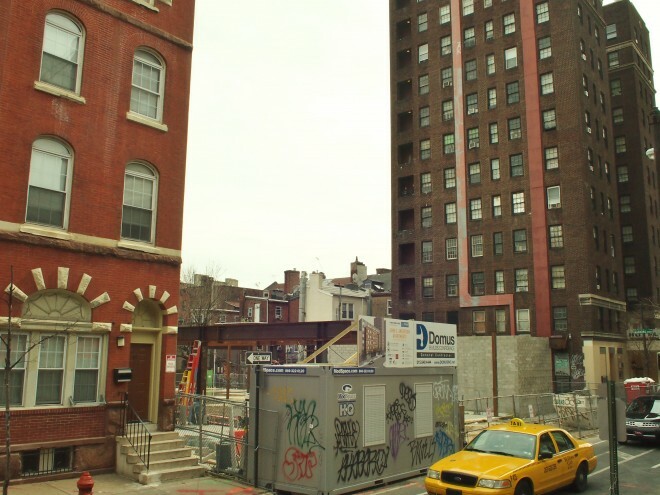 The project will be funded through a Philadelphia HOME grant, Pennsylvania Redevelopment Assistance Capital Program funds, and low-income housing tax credits. It will include a 5,000 square-foot courtyard and 2,000 square feet of retail space on the ground floor. Segal said that after years of work, he's "ecstatic" that the building will finally be constructed. "I, right now, am the happiest I probably ever will be in my life," Segal said. "I'm sure there's going to be another milestone, but today made me feel like a proud Philadelphian." Segal added that he was working with other cities that were looking into similar structures, including San Francisco. "We're already talking with other cities around the country who either have started already, are in the process, or are basically stuck," Segal said. Rent will be between $165 and $785 per month depending on the income tier of the resident. The project is expected to be completed by the end of 2013. Written by Sean Carlin for the Philadelphia Inquirer on November 11, 2012. Philadelphia started construction on the largest public gay building project in the nation. Reported by Lisa Thomas-Laury for Action News on November 9, 2012. The board of directors of the William Way LGBT Community Center agreed this week to move forward on a proposed project that would create affordable senior residences connected to the center. After a several-month review process, the board voted Tuesday night to proceed with the William Way Senior Residences, a plan unveiled in the fall by the Dr. Magnus Hirschfeld Fund. Construction could begin sometime in mid-2012, and will result in the establishment of about 70 apartments for low-income LGBT and ally seniors and a wealth of renovations to the community center. The board said last year it needed time to review the specifics for the project and its impact on the center, and spent several months examining the proposal, hired Regional Housing Legal Services to consult, had an assessment of the property conducted and held two town-hall meetings to discuss the proposal with the community. “The board’s final decision was based upon its assessment that the multiple benefits of the project will strongly serve our community members, our building and our programs,” said William Way executive director Chris Bartlett. The agreement approved this week stipulated that about $6 million will go toward renovations to the community center: The front portion of the building will undergo a full rehabilitation, costing about $2.6 million, with the rest of the renovation funds devoted to the demolition and reconstruction of portions of the back of the building. The project has a price tag of approximately $20 million and, so far, the city approved $2 million in funding. Former Gov. Ed Rendell also extended $7 million in state funds. For the center, the project will result in an additional 3,000 square footage — including an expanded ballroom, a new catering kitchen and library and archive space — as well as the addition of a 700-square-foot courtyard. During construction, the center’s operations will be relocated for an estimated 18 months. The move and cost of rent at another venue — which Bartlett said has not yet been selected but will be in Center City — will be covered by the project. Construction company Pennrose will own the new building, while the center will continue as the owner of the William Way property and the grounds on which both are located. The government funding that has so far been pledged would require the property to offer affordable housing for 30 years, after which time Bartlett said the center and Pennrose will have the opportunity to renegotiate the agreement. Mark Segal, president of the Hirschfeld Fund and PGN publisher, welcomed the board’s approval and the members’ thorough review of the proposal. Center board president Jeff Sotland, who estimated the board dedicated hundreds of hours to examining the project in the past few months, said the organization is committed to working for the best interests of the center and the community, and will continue to value community input as the project moves forward. The Fund next month plans to submit its final application to the state for tax credits, and the state has until July to respond to the request. Segal said the plan will then go “full-speed ahead,” with Pennrose and the center coming together to work out floor plans and building designs, which is expected to take several months. Organizers plan to close the deal either late in 2011 or in the first quarter of 2012, and to begin construction within six months. Published by Jen Colletta in the Philadelphia Gay News on March 10, 2011. The board of directors of the William Way LGBT Community Center voted unanimously this week to give conditional approval for plans to proceed on the proposed LGBT senior residences. The board voted unanimously Monday night to allow builder Pennrose Property to move ahead with its preliminary funding applications for the project, but the two must come to a final agreement by March 1 in order for the board to give its final stamp of approval. Center executive director Chris Bartlett said the board will analyze a range of factors throughout the next four months. The proposed William Way Senior Residences, an initiative announced earlier this year by the Dr. Magnus Hirschfield Fund, would house about 70 affordable apartments for low-income seniors. The residences would comprise an 11-story structure situated behind and above the existing community center, and the building proposal would include renovations to the center as well. Bartlett said the board is eager to garner feedback from the public about the initiative before it comes to a final decision. “We continue to proceed with cautious optimism and due diligence and look forward to engaging seniors, community members and other key stakeholders in these deliberations in the months ahead,” he said. The proposal also saw a funding victory last week. The City’s Office of Housing and Community Development released the names of the grantees of its most recent funding cycle, and the proposed senior residences was on the list. The project will get $2 million in OHCD funding, out of a pool of about $8.5 million that was split among several other initiatives. Mark Segal, dmhFund president and PGN publisher, said the grant is a big boon for the project. Last month, the state approved a $7-million allocation for the project. Published by Jen Colletta in the Philadelphia Gay News on October 7, 2010. The state legislature approved a $7-million allocation this week for a proposed LGBT senior housing project. The state House and Senate both signed off on the Capital Budget Project Itemization Act of 2010/11 on Oct. 4, and the measure now awaits the expected signature of Gov. Rendell. 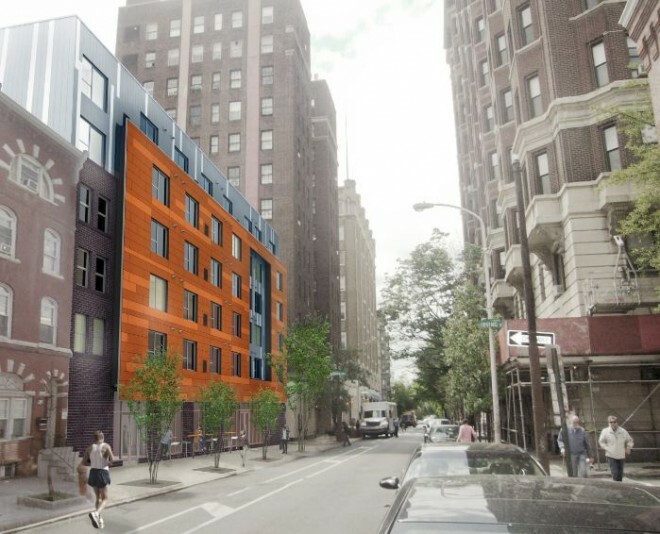 The proposed senior residences would be situated in a building attached to the William Way LGBT Community Center on Spruce Street. The project, spearheaded by the Dr. Magnus Hirschfield Fund, would include 40-70 affordable-housing units for low-income seniors and would also include renovations to the current community center. The initiative is predicted to cost about $20 million and will be undertaken by Pennrose Properties. Mark Segal, president of the Hirschfield Fund and PGN publisher, hailed the funding milestone as historic. State Rep. Mike O’Brien, a strong proponent of the effort, commended his fellow lawmakers on their support. The Hirschfield Fund last month submitted its first grant proposal for the project to the city’s Office of Housing and Community Development. OHCD received about 20 proposals and several will be selected to share the $8.5-million grant. The center will host a public meeting to discuss the proposed senior-housing program at 6:30 p.m. Oct. 13 at the center, 1315 Spruce St. The meeting is meant to generate community input and feedback about the idea so that the center’s board of directors can consider the views of its key stakeholders and the LGBT community at large. “We look forward to engaging with the community on Oct. 13 to hear their thoughts about the ways that these crucial resources can best be applied to meet LGBT seniors’ needs,” executive director Chris Bartlett said. RSVP to attend the meeting at (215) 732-2220. Published by Randy LoBasso in the Philadelphia Weekly blog on October 5, 2010. The Capital Budget Itemization Act of 2010/2011 (HB 2291) passed the PA State Senate and was ratified by the House yesterday. It included $7 million for a partnership between the Dr. Magnus Hirschfeld Fund, Pennrose Properties and the William Way LGBT Community Center to create the William Way Senior Residences. The William Way Senior Residences will be new construction of 70 affordable housing units for low-income seniors as well as the renovation of the existing WWCC. The project would allow the existing structure of the WWCC to be fully rehabilitated to allow the space to continue serving the LGBT community with services and programs. • A recent Williams Institute (UCLA, March 2009) study found significantly higher rates of poverty for gay men and lesbians over age 65. • DHHS Secretary Sebelius recently noted that LGBT older adults face widespread housing discrimination.